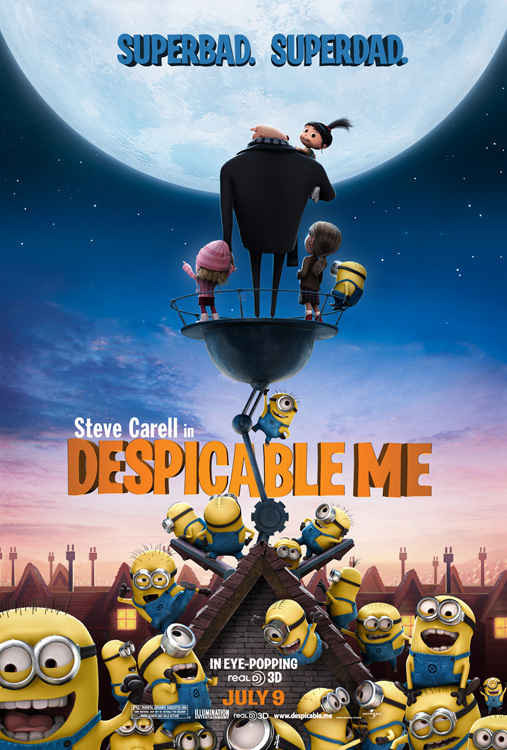 A very entertaining animation movie from a new animation studio ( Illumination Entertainment ) with a very high level of 3D Modeling and Animation. The plot is original but, it is completely revealed in the beginning of the movie which makes you feel bored during some scenes because you don’t see a major change in the story. Talking about characters : Gru, the main character, is actually a bad guy and that is not something we see often in animation movies of this kind so it gives an original touch. The biggest strength of the movie are the “minions” those creatures are so funny on all the levels and will always make you laugh whatever they are doing . A movie enjoyed by kids and adults.